Cordless Iron - love it! Just have to tell you about the new iron I acquired recently. 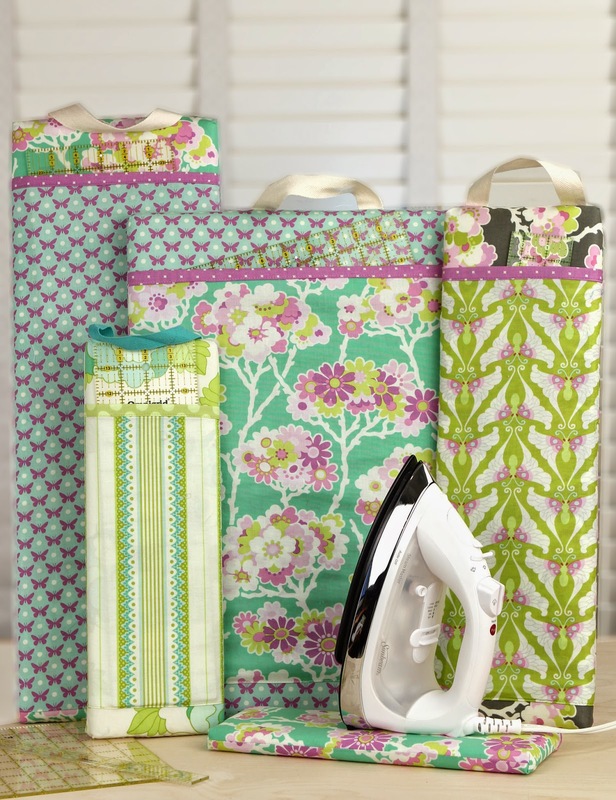 Brewer and Vanilla House teamed up at Quilt Market -- I demonstrated a new cordless Panasonic iron they are selling and they demonstrated my new pressing boards [P209 Sew ImPressed]. In the end, Panasonic gave me the iron. It is cordless, which is great for taking it a ways away from the wall plug. But mostly, just great not have to drag the cord around. It is pointed on both ends, so it forces you to put it back in the charger instead of standing it upright on the ironing board like you normally do. It doesn't take long to get used to that. 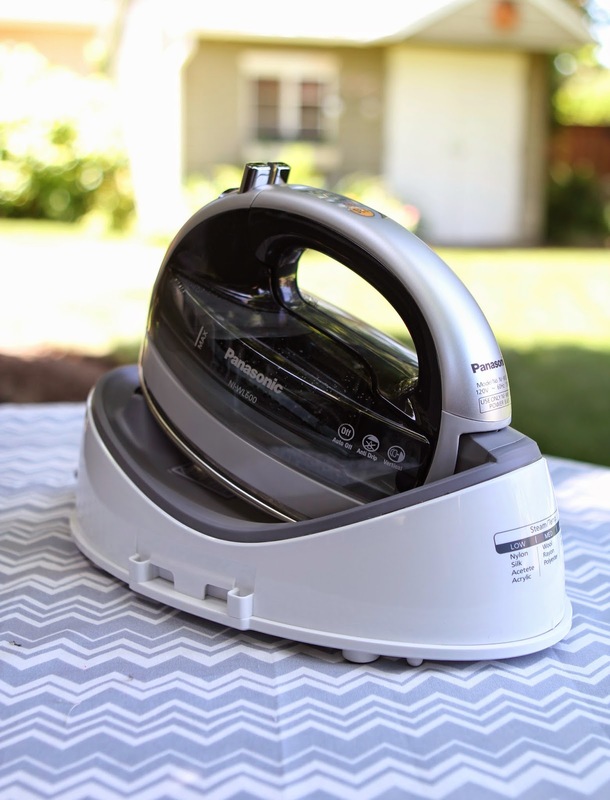 I am finding I don't want to use my other iron since this one heats up very quickly, presses fabulously, and is easy to add water [the tank separates from the iron and you take that to the sink - so great]. I would give the iron 4 1/2 stars out of 5. There is a lot going on here -- let me explain . . . . . . . I love putting trim on projects - always looks good. Bias trim that goes around edges that are curved, like my Pot Pinchers (P156), (takes more fabric since it is cut on the bias) and regular trim (not cut on the bias) can go on straight edges (uses a lot less fabric to make). Using tape makers, the trim can exactly coordinate with the fabric of your project (versus buying the closest possibility from ready-made trims). There are different sizes for different widths of trim. 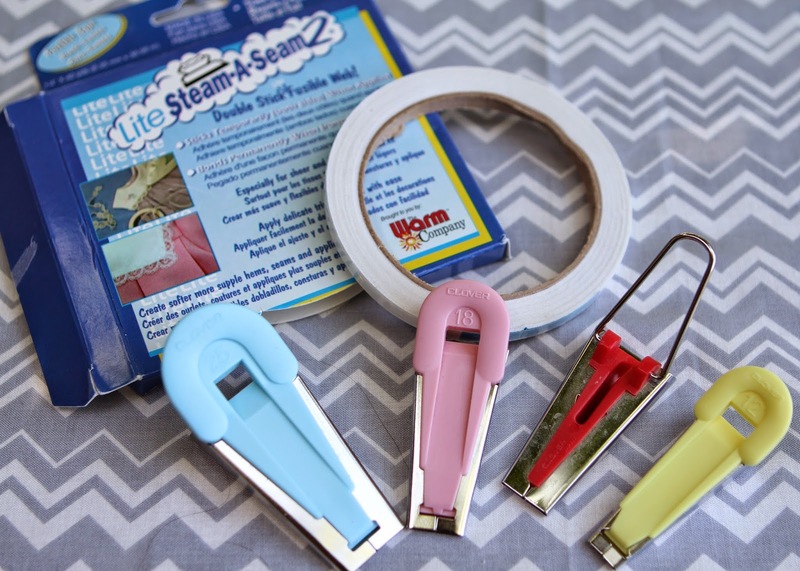 The pastels can attach the fusible Steam-a-seam as your press your trim. The basic colors like the red one doesn't! If you are going to buy a tape maker, go ahead and buy a pastel just in case you ever want to attach Steam-a-seam to your trim. The tape is by The Warm Company and the tape makers by Clover. Pot Pinchers have coordinating bias trim around the edges. This trim uses the 50mm tape maker and is folded again after the pressing in the tape maker. The trim on the top of the pockets is straight and does not need to be cut on the bias. 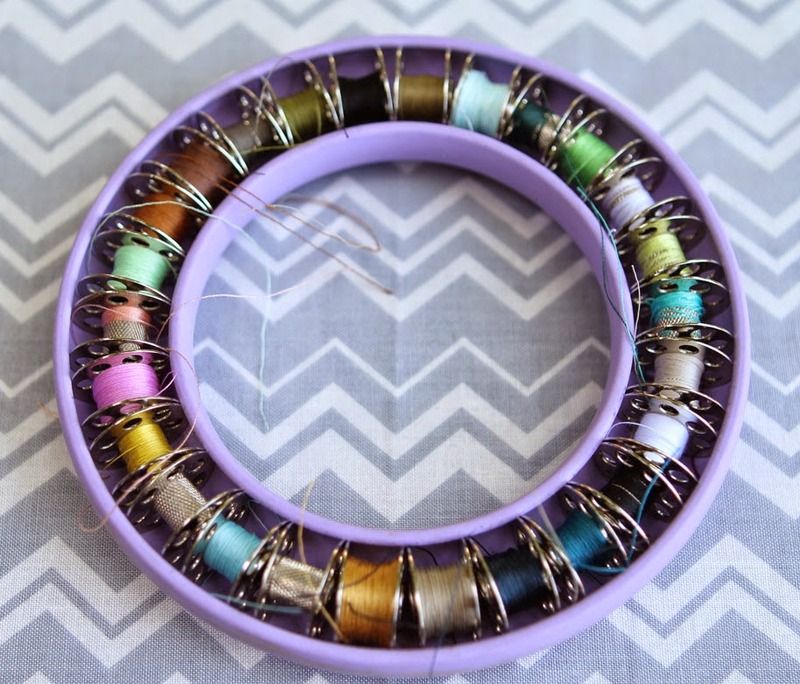 Love these bobbin holders. I have two in my drawer right below my machine and they are indispensable! Can't live without them. Thought I might post some of my favorite tools on the next few posts. After 20 years of business, I surely have some I really like. I love using 505 Spray Adhesive for various procedures. 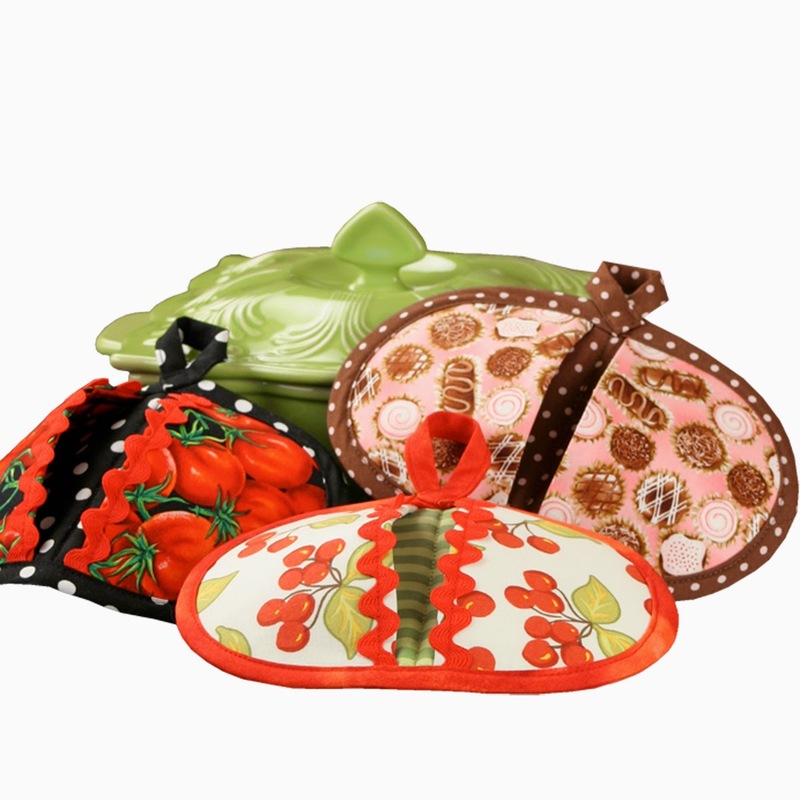 It's great to use when making oven mitts. When attaching several layers together -- the inside and outside layers, and two layers of Insul Bright fleece, spray the layers to keep them together. Without the adhesive, you have to pin the layers together. And they will still torque a bit at that. But with the adhesive spray, they hold together great as you baste around the edges of the layers. What's the box for? 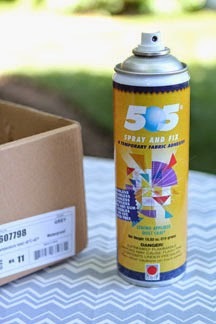 The over-spray is pretty sticky, so I keep a box around to set my project in and spray inside the box. Just keep an old box around the studio! This company has all sorts of different sprays for different purposes.